Cobra® Tandem Willow Preyfish Spinnerbait. The Cobra® Tandem Prayfish Spinnerbait, Designed by Steve Herbeck for big Muskies and Pike, the Cobra Tandem is a super search bait that calls fish in from long distances. FISH IT FAST TO COVER WATER or be SKINNY IN THE WEEDS with this high flash, large profile tandem spinnerbait. The streamlined Cobra swimmer head features a much larger 9/0 big-bite hook and trailer setup, that produces superior hook and hold performance over traditional spinnerbaits. The Cobra Tandem is an improved variation of the time proven traditional tandem spinner bait. The Cobra Tandem is a large profile weedless spinner bait, featuring a 9/0, 1-3/4 oz swimmer head and trailer hook, tandem #6 & #8 Willow Muskie blades, action skirt and tail and a custom made heavy duty 0.062 wire form. The Esox Cobra Tandem, PreyFish™ Spinnerbait's feature an EXCITING NEW TECHNOLOGY, PreyFish Imaging, the industry’s most natural, life-like, bait fish Images to date. PreyFish Muskie Blades are the result of a new high definition technology that displays live, bait fish images beneath the surface of a Musky Blade, ensuring that the image is protected from scratches and chips. All Prey Fish patterns reflect UV Ultra-Violet rays. Depending on water clarity, fish can see UV blades up to 7 times further than ordinary blades. PreyFish™ Imaged Blades are MORE DURABLE than any painted or epoxy coated blade and will outlast most metallic plated blades in single or double rotation style baits. 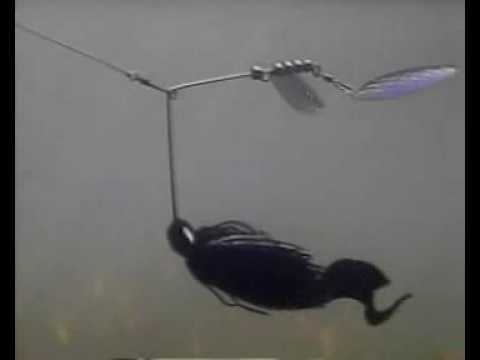 The Cobra Tandem is available in a 1-3/4 oz head and (8) life-like bait fish images, Black Sucker, Bluegill, Cisco, Crappie, Silver Shiner, Shad/Whitefish, Yellow Perch & Walleye.